France and Germany have agreed to progress development of a next-generation combat aircraft, with an announcement on 20 November that both countries are to launch demonstrator design studies next year. The announcement was made on Twitter by French defence minister Florence Parly, who said the agreement she signed in June with her German counterpart, Ursula von der Leyen, to approve the next-generation combat aircraft project had now been firmed up with a commitment to begin the formal design of aircraft and powerplant demonstrators in 2019. 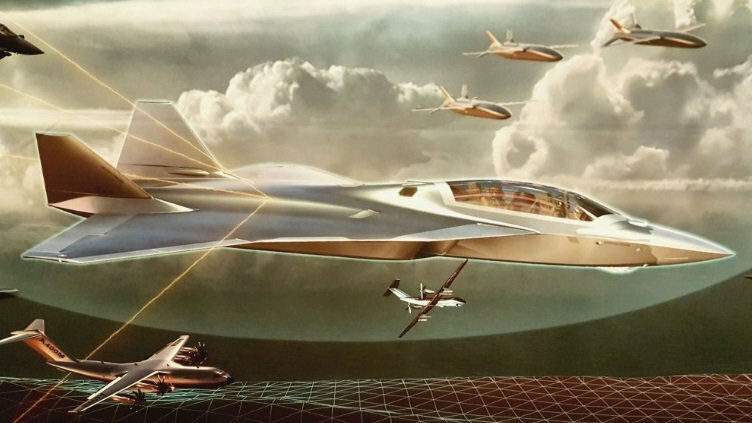 "In June, France and Germany decided to develop, together, the combat aircraft of the future. [There was a] decisive step today with the agreement to begin the studies of architecture and design and the launch of demonstrators (aircraft and engine) by mid-2019. It's moving! ", Parly tweeted. One thing we've learned from the F-35 mess is that "necking down" to only one aircraft manufacturer is nothing but trouble...and cost overruns. I'm really not sure. If the Europeans do as they've always done then we'll see delays, cost overruns, and at the end (if it makes it) small orders. It's still a win though. It will help preserve their defense industrial base, will hopefully move forward the tech and if they're daring they'll think outside the box and come at the problem in unique ways. Probably a serious mix of the best of the Typhoon and Rafale in a new wrapper with upgraded systems/engines all around. Additionally I think we'll see partial stealth (full on stealth hasn't delivered and tech has overtaken it) with an emphasis on speed over maneuverability and a serious look at squeezing every bit of performance from a new, more powerful AESA array. Can't wait to circle back to this in 2019 to see what they've come up with.